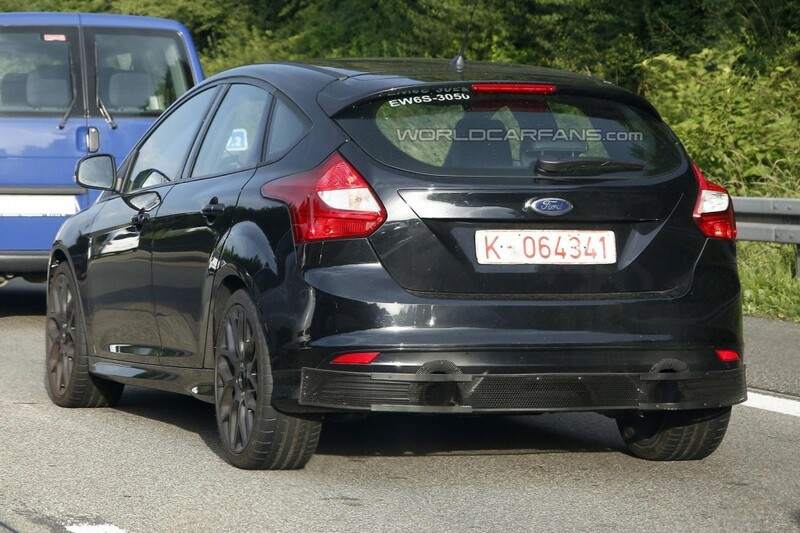 A test mule of the 2016 Ford Focus RS was caught on camera by our spy photographers in Germany. Ford will ultimately slap the “RS” badge on the current generation Focus sometime in 2016 as a final blast for the model set to receive a successor in 2017. 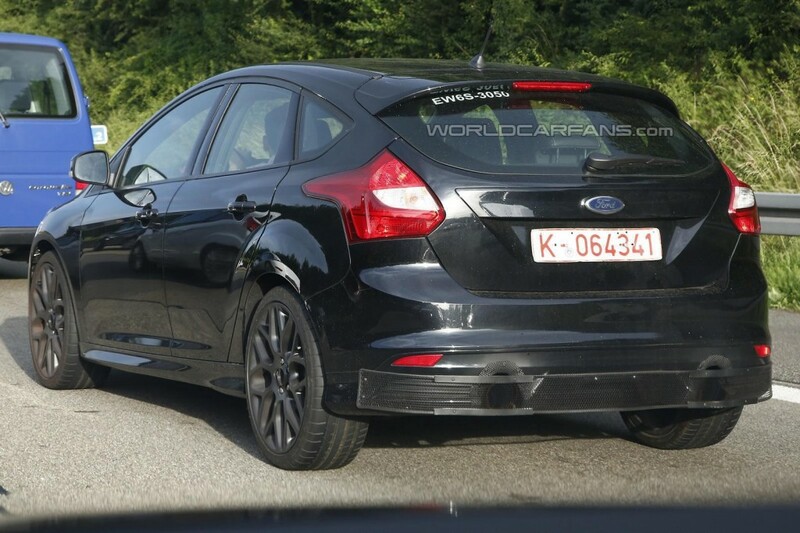 Seen here is a test mule spotted on the German autobahn wearing the body of the ST but with the exhaust pipes closer to the rear bumper’s sides whereas the Focus ST has a centrally-positioned exhaust setup. The hot hatchback will reportedly receive a 4-cylinder, 2.3-liter EcoBoost engine developing as much as 350 bhp (261 kW). That’s a lot of power for what is believed to be a front-wheel drive car but Ford’s engineers will try to diminish torque steer issues by installing an electronic differential and a specially developed Revoknuckle front suspension. Chances are the 2016 Ford Focus RS will carry a starting price of approximately 27,000 GBP (about 45,200 USD / 33,500 EUR).